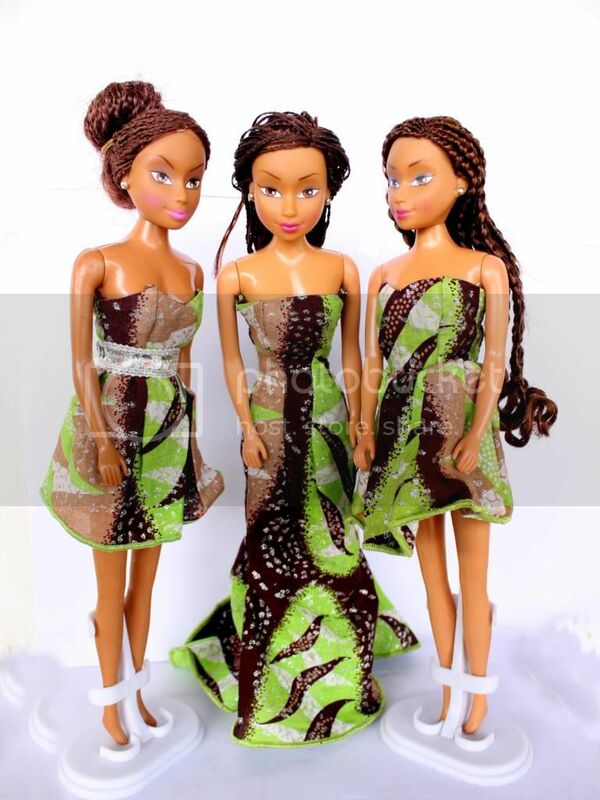 In Nigeria Queens of Africa dolls outsell Mattel's Barbie. The product line, created by 43-year-old Taofick Okoya, offers girls inspiring alternative to the white dolls that have long dominated worldwide markets. Now Okoya says he sells more than 6,000 of the dolls each month. The dolls wear traditional African apparel and represent Nigeria's three biggest ethnic groups: Hausa, Yoruba, and Igbo. Nneka is Igbo and represents love, Azeezah is Hausa and is the queen of peace, and Wuraola is Yoruba and represents endurance. The dolls are in high demand, and if you're lucky, you might be able to purchase one here. The line now publishes Queens of Africa books which feature the Wuraola, Nneka, and Azeezah learning about a few of the continent's most remarkable queens. Here are the books in the series. In this story Wuraola, Nneka and Azeezah learn how sixteen year old Queen Amina protected her land from jealous neighbours by building walls around it and riding around them on her horse, called Demon, shooting the enemy with her bow and arrow. You can still see evidence of Amina's walls today if you look very carefully in the sand.